Q: When may I take the preliminary exam? A: The preliminary examination may be taken no earlier than the semester in which the candidate completes the twenty-fourth hour of coursework required in the second stage of the PhD program. Q: How do I notify the department that I plan to take the preliminary exam. A: Each semester an email is sent to all graduate students asking who is planning to take the preliminary exam during the upcoming semester. 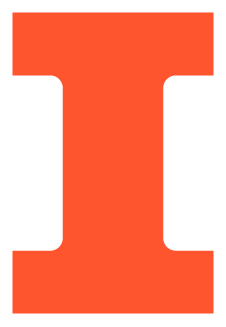 You may respond to that email or send an email to tank@illinois.edu at any time. A: At least two weeks prior to the date of your exam, please email the names of your committee members to Staci McDannel. The names will be submitted to the Graduate College for approval. A: The Thesis Office will send letters of appointment to your committee. They will also send a Certificate of Result of Preliminary Examination for the Doctoral Committee. You will need to pick up this form from Staci Tankersley in 306 Talbot Lab the day before your exam. Your committee will need to indicate the results of the exam on the form and each member will need to sign it. The form must be returned to Staci as soon as possible after the exam. A: You may reserve the department conference rooms in Talbot Lab (319N, 319M, and 206N) via the web. For classrooms or other rooms on campus, please contact Laura Gerhold.